Apple has managed to win the hearts of many PC users with the MacBook or iMac, although today the king of software is still Microsoft’s Windows 10, the operating system that has the most number and variety of compatible programs. This poses a problem of difficult solution for macOS users: how to use Windows programs on Mac? There are certain essential applications that are only in this OS, so there is no choice but to use it or emulate it in some way. Below we reveal some of the ways you have to use Windows programs in macOS. 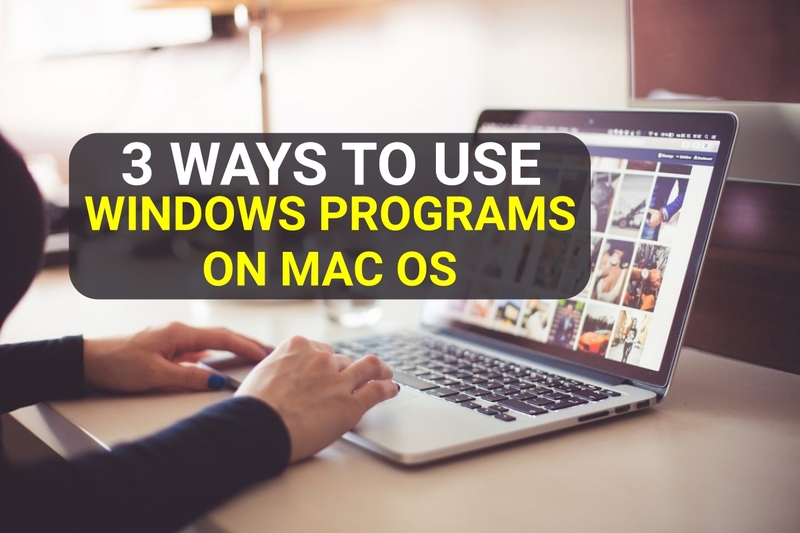 Here we will explain how you can run Windows programs on macOS with some specific applications to emulate Microsoft operating system software. The virtual machines are all common kind of any operating systems. It is the most common resource for those who want to run Linux software on Windows, macOS on Linux and any type of combination that comes to mind. Basically, it is about emulating a complete operating system within another operating system. The advantage is that you can configure and install what you want in this subsystem, and you can also do it in macOS. The disadvantage is that to use Windows programs on Mac with a virtual machine you will need a key to install this operating system. The most outstanding program for virtual machines in macOS is Parallels Desktop, also for payment. There is a free program to emulate Windows on Mac and it is VM Virtual Box from Oracle, although it is not as complete as Parallels. This program is a veteran of the computer, an old acquaintance of Linux users. It is an application that allows emulating Windows programs on Mac and other operating systems. It has its limitations and is that it is not capable of running some Windows .exe, but it usually works. It is without a doubt the best program of this type that there is right now, and the best: it is completely free and Open Source. You can download it from this website, where there is also a list of the programs you can run. Unlike Wine, CrossOver is paid. Taking advantage of the fact that the first program we have mentioned is Open Source, another team has taken advantage of its code – something totally legal and legitimate – to create this payment application. CrossOver is an improved and refined version of Wine for macOS, with more compatibility for a larger number of programs. If you use a lot of Windows software, it might be worth paying for it. These are the 3 best solutions to run or access Windows programs on macOS. I hope this article will help you to use the programs of Windows of your choice on your macOS system. If you have any queries regarding the above methods, let us know them in the comment section below and we will get back to you as soon as possible to clear all your queries. Did you ever use any of these methods or other methods before? Share your experiences with us in the comment box below.